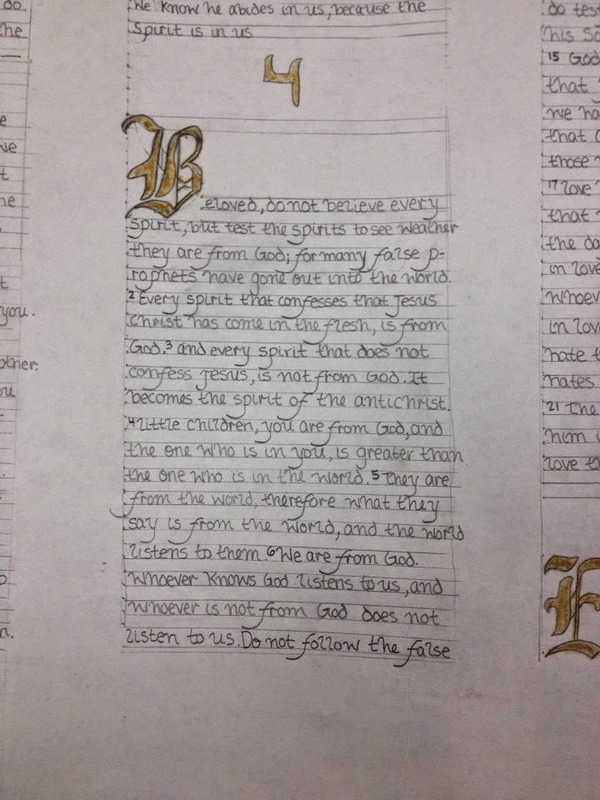 Inspired by a visit of the Saint John's Bible Heritage Edition in October, as well as being an opportunity for extra-credit, one of my students has hand-written the entire First Letter of John. Very cool. 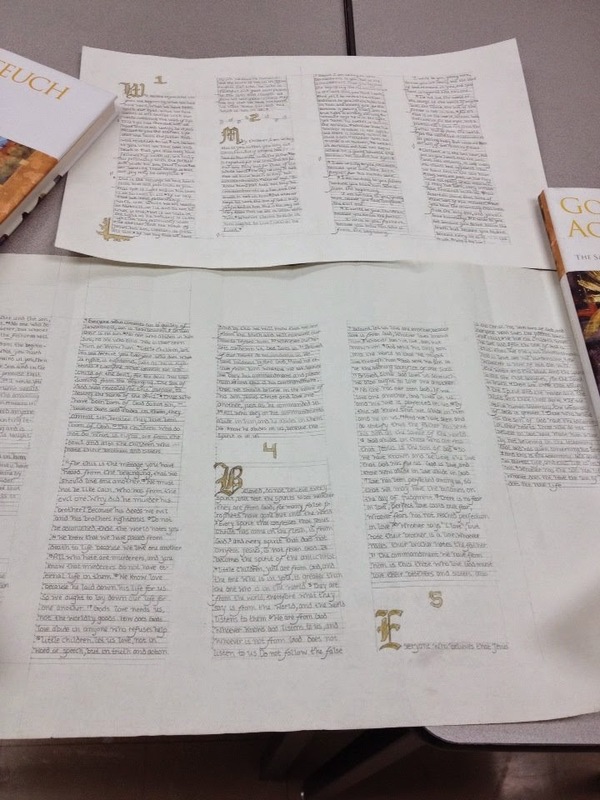 I bet this gives your students an idea of how much work went into hand writing a Bible in the days before the printing press. Tell your student that he/she only needs to complete the other 72 Books for an A+!